The EuroMBA is more than an MBA. It is the result of a collaboration between six top European universities and offers managers the opportunity to develop their business skills while building an international network spanning the entire globe. Since its inception in 1996, the core fundamentals of the EuroMBA include its strong international network of students, alumni and faculty, coverage of international business and management topics, flexibility through a combination of online and residential learning, multicultural team projects, use of latest technologies as well as international accreditation and recognition. Considering that EuroMBA participants typically have an average of 11 years of professional working experience, are from over 20 different nationalities, and with more than 50% of the participants living outside of their country of origin, the EuroMBA gives learners access to a truly global community. The EuroMBA offers managers a unique opportunity to combine a busy work schedule with a high quality MBA. The online courses provide full flexibility to work wherever and whenever participants desire. The residential program also ensures they build that essential business network. 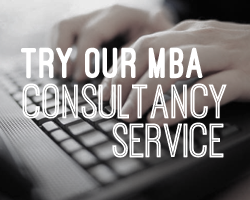 Fill out your details to get in touch with EuroMBA and find out more about their programs. Hard work, but a rewarding and truly global experience. You will learn as much from your peers as you do from your tutors. If you are looking for a unique and challenging MBA programme, this is it. The programme gave me the leadership skills and intellectual confidence to advance in my career. Challenge yourself, Face your fears, Be curious, Never give up, Everything is possible.